Home » National News » Delhi CM Arvind Kejriwal visited Pakistan's newly elect PM Imran Khan to congratulate him over election victory? 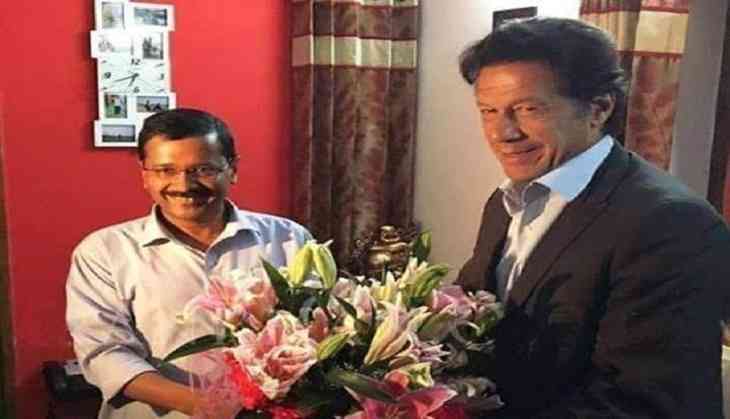 Delhi CM Arvind Kejriwal visited Pakistan's newly elect PM Imran Khan to congratulate him over election victory? After cricketer-turned-politician and Pakistan Tehreek-e-Insaaf (PTI) chairman Imarn Khan registered victory in the general elections of Pakistan, a news came up on the social media that Delhi Chief Arvind Kejriwal visited Islamabad to congratulate him. A facebook user Indrajeet Mandal shared a photo of Arvind Kejriwal with Imran and wrote “the Prime Minister of reached Islamabad to congratulate. Rascal and traitor ‘Khujliwal”. This post went viral after a facebook page ‘I love Yog’ shared it as it was shared more than 5,000 times. A twitter user Takad Tau Deviwal shared the same pic and said “Kejriwal is first so called Neta who congratulate Imran Khan to be PM of #Pakistan”. Actually this particular photo was clicked when Khan visited India. 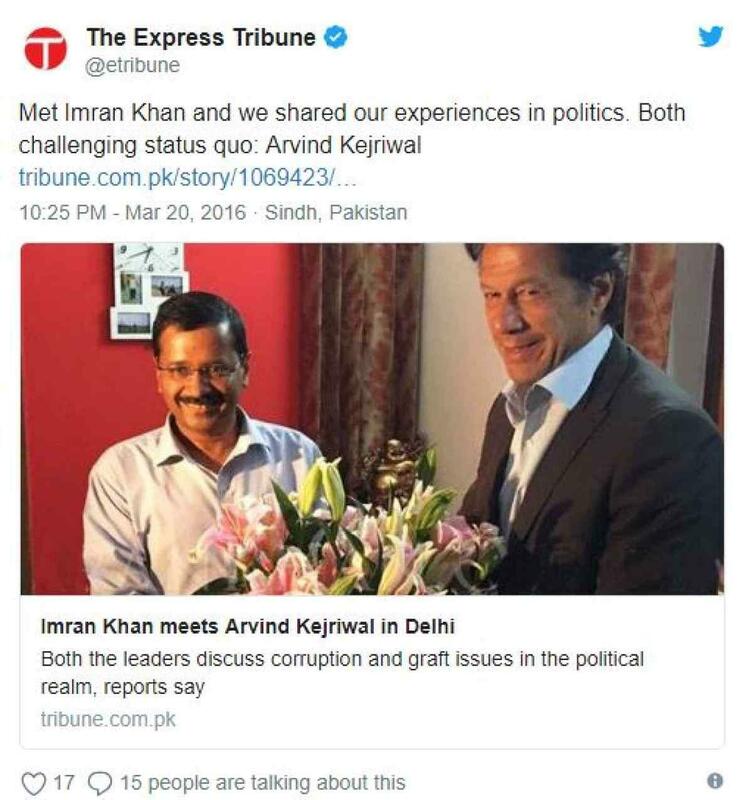 In March 2016, Khan met Kejriwal at his residence in Delhi. It was Khan who presented a bouquet to the CM, revealed a fact-checker website SMHoaxSlayer. The photo with fake claims and absurd comments was shared widely. A twitteratti wrote “#Pakistan's next Prime Minister with Imran Khan. Our internal survey says AAP(Aam Aadmi of Pakistan) is going to clean sweep the Pakistan Election. Please vote for us today”. Another user wrote “Imran Khan is very impressed with Arvind that he will take inspiration from Kejriwal as he wins the election”. शुरु होने से पहले ही अधर में मोदी केयर, गेम चेंजर स्कीम के लिए बजट कहां से लाएगी सरकार?